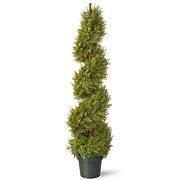 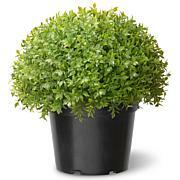 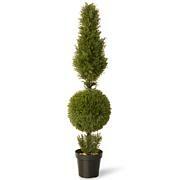 The arborvitae tree is popular with landscapers for its stately regal appearance. 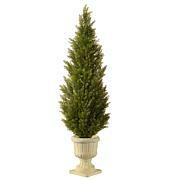 Now you can also make the front of your home look like the palace it deserves to be with this artificial tree. 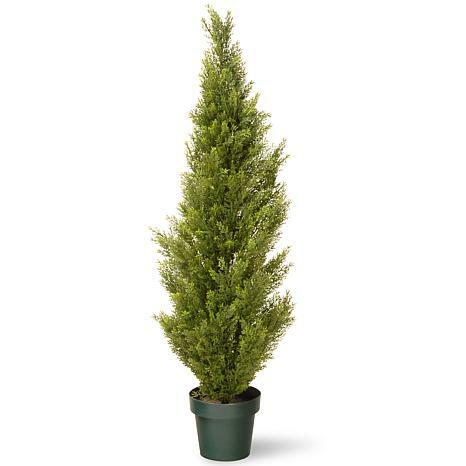 The green pot adds to its eye appeal, and there's no need for water, soil or sun so you can place several by the walkway, near the pool or mailbox to create an upscale touch of greenery.